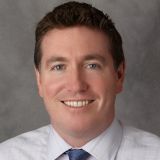 Ted O’Connell, MD [Leading Innovations in Heath Care & Education, ’18] is a Founding Residency Program Director at Kaiser Permanente Napa-Solano and Associate Clinical Professor in the Department of Family and Community Medicine at the University of California, San Francisco. Ted is the co-founder of ExamCircle and Editor-in-Chief of Elsevier’s Clinical Key MedEd. Ted’s areas of professional interest include faculty development, medical education, and medical writing. Ted can be followed on Twitter, LinkedIn, Facebook, Instagram, or at his website: tedxoconnell.com. Did you know that the Harvard Macy Institute Community Blog has had more than 140 posts? Previous blog posts have explored topics including leadership, the hidden curriculum, and training physicians to be social change agents.